Wireless phone networks are able to grow and change more rapidly than the old hard-wired phone technology, but sometimes they morph so fast it’s hard for consumers to keep up. The latest news is all about 4G LTE networks. What is LTE, how is it different, and what does this technology mean for consumers? If your mobile data network knowledge has gotten a touch out of date, this primer will bring you up to speed. The 2G system (“G” indicates “generation” in industry jargon, so this was the second generation wireless system) was just powerful enough to support the basic functionality of the original smartphones. A 2G network could allow phone calls, simple texting, and small amounts of data. When the industry introduced 3G connectivity, phones were able to load web pages, videos, and music — although speeds were still slow and the data had to be formatted specifically for a slower connection. In March of 2008, the industry set definite speed and connection standards for networks that wanted to describe themselves as 4G. Smartphones and tablets on a mobile network must reach peak speeds of at least 100 megabits per second to be labeled 4G. Those speeds were goals; they were not attainable at that time, and still aren’t feasible in real-world conditions. Phone manufacturers are selling phones capable of accessing 4G speeds, but those speeds aren’t really available yet. LTE stands for Long Term Evolution and is applied to technology that is creating a path toward a 4G standard. Networks that have achieved a significant improvement over 3G speeds are in that state of evolution and can be labeled as 4G LTE. Although it seems like a tricky way to use the 4G label without meeting the industry criteria, the LTE networks are noticeably faster than 3G networks and deserve a separate labeling. 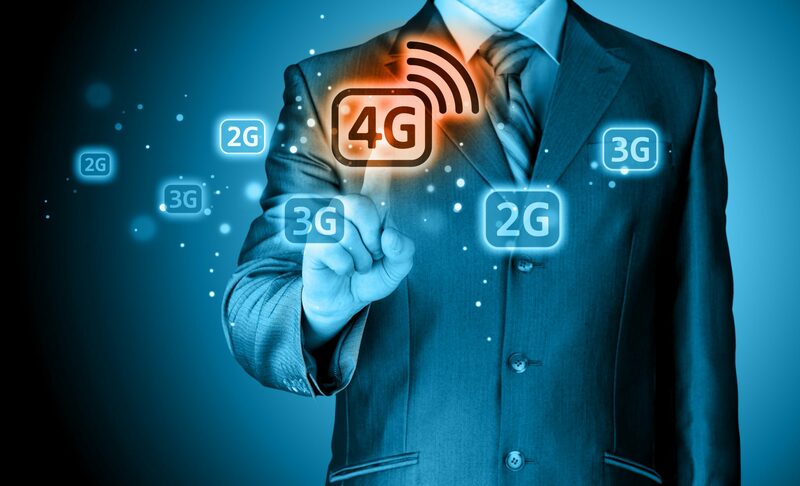 The 4G LTE networks are an enormous step forward. Android Authority regularly reports on the state of the 4G LTE network around the world. According to their most recent report, the earliest adopters of 4G LTE technology are still among the fastest networks on the planet. Singapore, South Korea, Australia, Norway, and the Netherlands are all averaging between 30 and 45 Mbps. Those speeds are still less than half the 100 Mbps standard set for 4G, but they are a significant improvement over 3G speeds. By comparison, the U.S. average speed of 15 Mbps is second-tier at best, but the nation comes in at third place in terms of coverage, with just over 85 percent of the country having access to 4G LTE networks. That’s a massive accomplishment considering the size of the country and its late entry into the field. The country’s data system is in a state of evolution and upgrade, and 4G LTE networks are widely available from coast to coast. Your personal results may vary depending on factors like your location and your phone. For instance, if you’re using atop-rated 4G LTE network like T-Mobile, you’re in a location with good reception, and you’re using a phone built to take advantage of the latest technology, you will get blazing speed. But if you’re using an older phone that can’t access those speeds, a carrier with a less robust network, or you’re in a remote area that’s part of the 15 percent of the country that doesn’t yet have access to 4G LTE service, the new technology will remain outside your grasp. There will likely be another interim step before you can consistently access true 4G speeds, according to the industry standard. LTE-A stands for Long Term Evolution Advanced, and it will be the next step toward full-blown 4G speed. The industry is already discussing standards for 5G technology, but those aren’t expected to roll out until 2020. Carriers in the U.S. are working hard to spread a 4G LTE blanket across the entire country. At the same time, they’re working on next-generation technology that will improve your smartphone’s performance even more in the future.